People, it’s close to midnight and while something may not be lurking in the darkness of my hallway, it is getting late. I want to scream, but my terror of waking the small humans in the apartment takes the sound from me. Yeah…I wanted to write up a hilarious but dark introduction that played with all the conventions of thrillers, but instead all I’ve got is a weak reference to MJ. What can I say, we all pay the price at the end of the year as we try to get all our reviews in. This is the kind of book that can’t be discussed deeply without spoiling it. Big spoilers ahead; watch out. If you could forget the most painful memories of your life, would you? Maybe you’ve seen this scenario play out in Eternal Sunshine of the Spotless Mind, but Adam Silvera’s debut novel asks much harder questions than Charlie Kaufman’s 2004 film. Personality is largely shaped by the collection of memories we carry around. If you forget certain parts of your life, will you change and will you be happier? 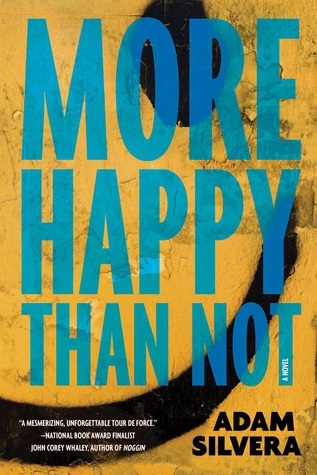 Equally heartbreaking and fascinating, More Happy Than Not explores how forgetting can change people, and how the loss of key memories would affect a teen who was still in the process of identity formation. Given the critical praise it’s received, this is a book that would have landed on our list anyway, but the buzz before it was even published was strongly positive and mostly centered on Adam Silvera as a unique new voice in YA lit. We all know that hype can really deflate one’s experience of a book, but that was not the case here. This seems to be a divisive book. It picked up four stars right out of the gate, but in conversation with readers (mostly librarians), I’ve found the majority didn’t love it, although not necessarily for reasons that matter for Printz. It’s a genre-blender — well-researched historical fiction but also an I-see-ghosts tale (that is a genre now, right? At least, I-see-paranormal-stuff seems to be one). In some ways, it’s urban historical fantasy, a niche I rather enjoy and that allows for some fun to be had with a genre (historical fiction) that sometimes gets bogged down in balancing fact and fiction. 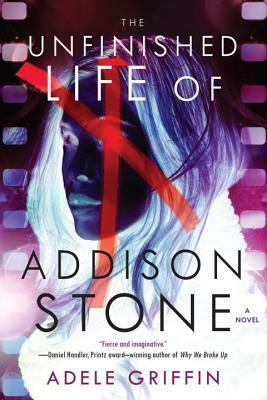 It’s a good book that defies easy description, and yet it seems to be hanging out low on the buzz meter. On the whole, I think the haters are wrong and this deserved all its stars, although there are a few issues. Let’s tease them out. A few weeks ago, I reviewed How It Went Down by Kekla Magoon. It’s not immediately obvious, but that title shares remarkable similarities with Adele Griffin’s faux-nonfiction novel, The Unfinished Life of Addison Stone. Both books focus on dead teens, using multiple voices to reconstruct the story of how they died. It’s an interesting structure for the examination of a single teenager and the multitudes an individual can contain.